Charleston International Film Festival Charleston, South Carolina - International - Non-profit, Held annually every spring. Full Frame Documentary Film Festival Durham, North Carolina - International - Full Frame is an annual international event dedicated to the theatrical exhibition of non-fiction cinema. 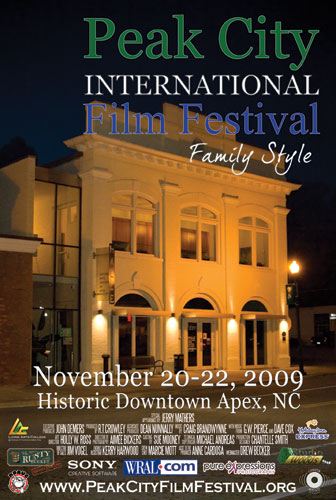 RiverRun International Film Festival Winston-Salem, North Carolina - International - Held annually each Spring, devoted to the role of cinema as a conduit of powerful ideas and diverse viewpoints. Sundance Film Festival Park City, Salt Lake City, Ogden, Sundance, Utah - International - Held annually in January, Sundance is the largest independent film festival in the United States. Telluride Film Festival Telluride, Colorado - International - Considered to be one of the best and most influential film festivals in the world, it is also one of the most exclusive and expensive film festivals out there. Buy tickets on the ticket page.